If you have a blog, how much is it worth? Would you sell it for the amount calculated? Do share your results and thoughts! I was just checking my mail when a link led me to Yahoo! (UK) news site. The particular news article that caught my eye was "Troops 'beat Iraqis over nicknames'". You can read this article here. One of the detainees, 26-year-old Baha Mousa, died following the alleged abuse in September 2003. Mutairi said he believed Baha Mousa, whom he referred to as Baha the hotel receptionist, received the most beatings. He said: "He was constantly crying out with pain during his beatings. I believe that he was beaten more because he cried out in pain. 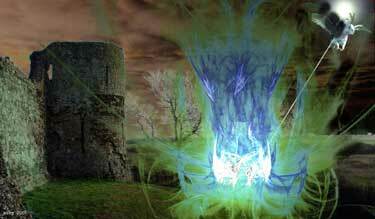 The rest of the group suffered pretty much the same." Of course the person would have cried out in pain when being beaten! If possible, I reckon he would have lashed out at the soldiers. It is a part of human nature. This is another proof to the fact that if you want to be respected, you have to extend the same courtesy to others. Apparently, human life and blood have no value in todays world where morals and human values are ditched like obsolete equipment. I am currently going through Bobmin's (Bob and Alyx's) Harry Potter fan fiction called "Dumbledore's Army" which extensively addresses abuse issues that Harry faced at the hands of Vernon Dursley and his family. The abuse portrayed in this work of fan fiction is more than the actual Harry Potter books by JKR so you might need to read "Dumbledore's Army" to understand the reasoning for my comparison in the next paragraph. The last line of the news article really slammed into me and I inadvertently compared the British troops treatment of the suspected insurgents to how the Dursleys treated Harry. I found the situation in both of the cases very similar as far as the abuse is concerned as portrayed by the last line of beating the insurgents more when they cried out in pain. I have seen people sympathizing with Harry and lambasting the Dursleys. Will the same hold true when the same people think about the very similar situation in Iraq that is stated in the news article where the British soldiers resemble the Dursleys? The answer to the above question would judge whether we are hypocrites; applying specifc sets of (different) judgements and morals for two very similar parties which are both guilty of abuse. I sometimes really wonder where Britain is headed with minority segregation (now with state backing) on religious basis on the rise (the current veil issues cropping up in Britain). In the end, this won't bode well for Britain just like what has happened to America and the rampant anti-Americanism prevalent in Muslim countries. Were you misled by the "Spice Man" title? Well, don't be. This post has nothing to do with Spice Girls or any gossip surrounding them. I was just browsing The News of October 25 and noticed a news item which piqued my interest. Click here to read the news article and here to download it in case it vanishes from the site. 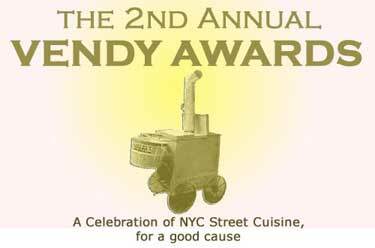 Click the image above for more info on Vendy Awards. I must congratulate Mr. Samiul Haque Noor who took the top prize at the 2nd annual Vendy Awards with his chicken, lamb and beef concoctions using Pakistani recipes and spices. He has made his country and its citizens proud. Fans of Mr. Noor state that the red sauce clears up sinuses. This would definitely save his customers a visit to the doctor (think bills!) while getting something good and filling to eat at the same time. As far as I am concerned, that is a bonus! I wish him great success in his life! 24/10: Want to try Winzip 11? Here's your chance to have a try at Winzip 11. I don't know why they keep releasing new versions. I still haven't moved on from Winzip 9 which is more than enough for my needs. Anyway, for those interested, the list of new features in Winzip 11 can be found here. For downloading Winzip 11, click here. Remember that this is a beta release and beta release risks are still there with this software. You can read more about this and the beta license on the download page linked above. I hope you enjoy it. Share your comments, likes and dislikes about it here. Will you buy it when it is properly released or keep using an older version (or another compression software)? I think I will keep using version 9 for some more time. This is supposedly a way to counter web bots which crawl the web for email addresses from popular email providers for spamming purposes. This is a neat little trick and I often wondered on how to make such an email address image. Now I have found the source of these images. Some of you may already be familiar with the linked page. For those of you who want to use such images and didn't knew where to find them, you can go to this linked page to make yourself such images. There are quite a few email provider choices for you to choose from. Enjoy your email address images and do share your experience regarding this anti-spamming technique! Most of you having young children or siblings (below 10 years of age) would know about the shop Minnie Minors (a subsidiary of Bareeze) which deals in ready made garments for babies and young children. In Islamabad, this shop is located on the floor above Bareeze (near Chen One) in Jinnah Super. 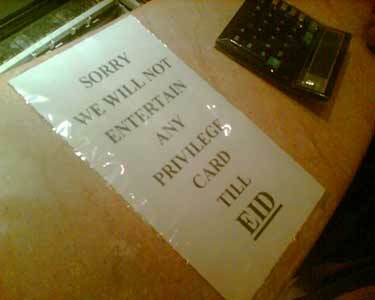 Recently, when I got the opportunity to visit this shop, I saw a sign taped onto the payment counter and the wall nearby which stated that 'privilige cards will not be accepted'. Privilige cards here are credit card type customer loyalty program cards which can be used by frequent customers for getting discounts and acquiring points on their purchases. These cards have been in use by Bareeze and Minnie Minors for some time. While I read about Musharraf's appearance on Comedy Central's The Daily Show some days back, it was recommended to me to watch the actual video. I went through the complete show today and enjoyed it quite a bit. The gesture with the jasmine tea was a nice one. The opening lines by Jon Stewart were quite amusing especially the "twinky" comment and then when he jumped the Osama bin Laden question on an unsuspecting Musharraf, I could tell that Musharraf was a bit surprised but he answered back confidently. Other parts of interest were about whether Bush listened to Musharraf and that Musharraf was calm in the face of various threats he faces for being at the forefront of the war on terror to which Musharraf replied, "Yes". 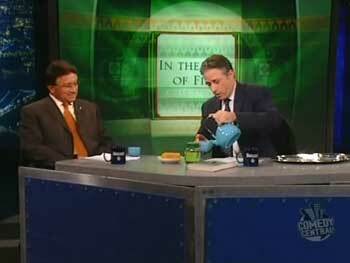 Musharraf did not fall victim to Jon Stewart's usual antics. However, that may be because Jon Stewart was going light on him, or at least that's how it seemed to me. It was enjoyable watching it and I would definitely recommended it to other people. At least, you will get a few laughs from it!